It’s hard not to pick up your newspaper (or, more likely, your smart phone) and not get caught up reading about Donald Trump’s latest “did he really say that” statement or about the “less than personal” personal email account of Hillary Clinton. But which candidate is better suited to bridge America’s nearly $1.5 trillion infrastructure gap? Clinton the veteran politician? Or Trump the veteran developer? Despite being on opposite sides on nearly every issue from abortion, to taxes, to . . . well, maybe immigration . . . both Clinton and Trump agree that the U.S. needs to invest more in its aging infrastructure. But that’s a little like saying we should take better care of ourselves and exercise more. Of course we should. The question is how. Clinton has proposed a five-year, $275 billion spending plan. Of this amount, $250 billion would be in the form of direct public investment in the country’s highways, bridges, airports, dams, levees and waste water systems. The remaining $25 billion would be allocated to a national infrastructure bank which would leverage these funds to support up to an additional $225 billion in direct loans, loan guarantees and other forms of credit enhancement designed to bring in private capital “from the sidelines.” Clinton’s plan would be paid for through “business tax reform” although the details of what that reform would entail are unclear. Thus, both Clinton and Trump, albeit in different ways, have pledged to invest hundreds of billions of dollars into the country’s infrastructure if elected President. But this isn’t the only similarity between their proposals. Both candidate’s proposals are also similar in that they each fall far short of the investment needed in the nation’s infrastructure which the American Society of Civil Engineers has given a grade of “D+” and which in turn runs head on into issues related to federal spending and the nation’s growing $19 trillion debt. And both proposals are silent as to how that infrastructure will be maintained over the long run. 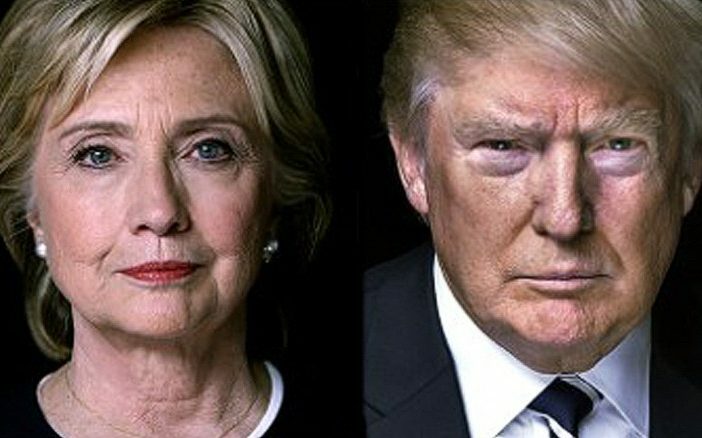 Neither Clinton nor Trump has talked about raising the federal gas tax (60% of which helps fund transportation infrastructure) which some believe is a political lightning rod (the federal gas tax after all hasn’t been raised in over two decades since 1993) and others believe isn’t a long-term solution in any event (revenues from the federal gas tax have been declining since 2007 due in large part to more fuel-efficient vehicles which means less gas purchased and less gas tax paid). In short, both Clinton and Trump’s infrastructure plans leave us wanting more.